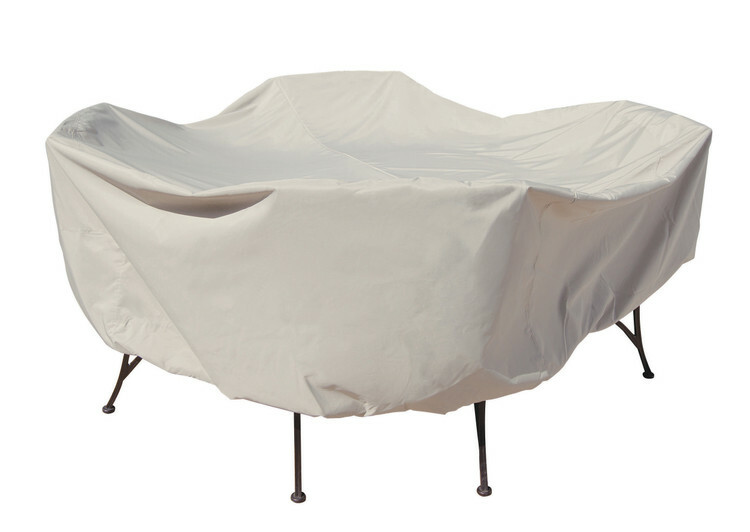 Keep your high quality outdoor furniture clean and looking new longer with our furniture covers. Among the best-selling styles on the market; each cover is made from an exclusive designed Rhinoweave™ fabric that is durable, water resistant, breathable and will not crack or peel. Plus these protective covers are an attractive champagne color so they are not an eyesore when in place. No matter where you live this cover can take it whether it's blistering head, continuous rain storms and even cold, frigid temperatures.